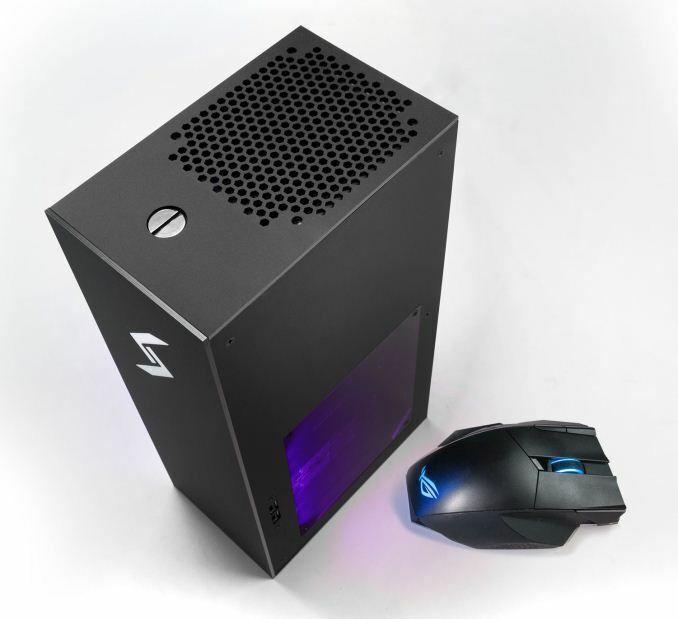 LAS VEGAS, NV — This year at CES, Digital Storm, a US-based boutique custom PC maker, has unveiled Project SPARK, its smallest enthusiast-class PC to date. According to Digital Spark, its goal was to, "...raise the bar in terms of performance per square inch and cooling." 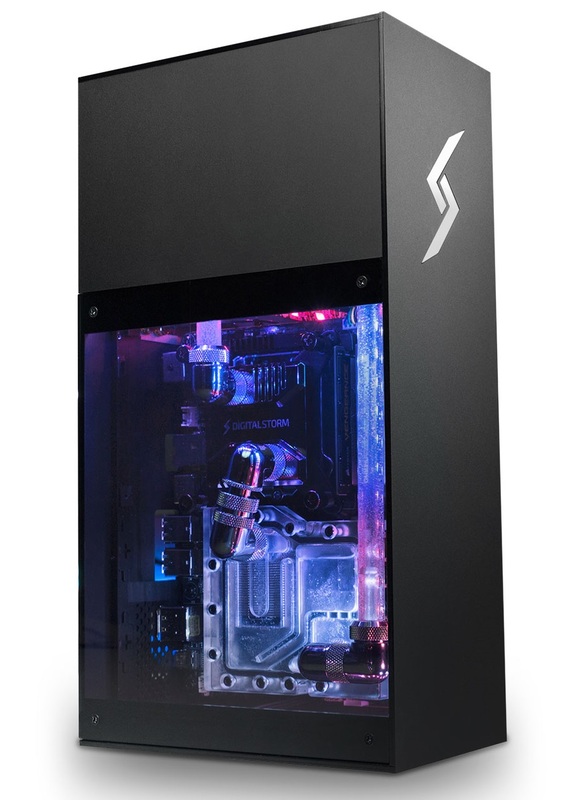 - to accomplish this, inside the Micro STX platform sized case is a custom water cooling solution using hardline piping helping to keep up to a Geforce GTX 1080 and Intel i7-8700K cool. Specifications were a bit scarce from the official press release, but we do know custom configurations are based on the latest Intel Z370 platform running Coffee Lake-based CPUs and will use MXM format video cards. The entry-level GPU starts with a Geforce GTX 1060, ensuring customers should get a base level of performance even with the cheapest option. Storage options include one SATA 6 Gbps port as well as three M.2 slots. This configuration can allow for all three M.2 slots can run at full speed without lane sharing, though we are not sure exactly how it is wired. We are also able to see two USB 2.0 ports on a side panel with more potentially around back. The real show here is how small the PC is. Measuring 6x4x12-inches, Digital Storm believes users will be hard-pressed to find machines off the shelf as capable and aesthetically pleasing as this. 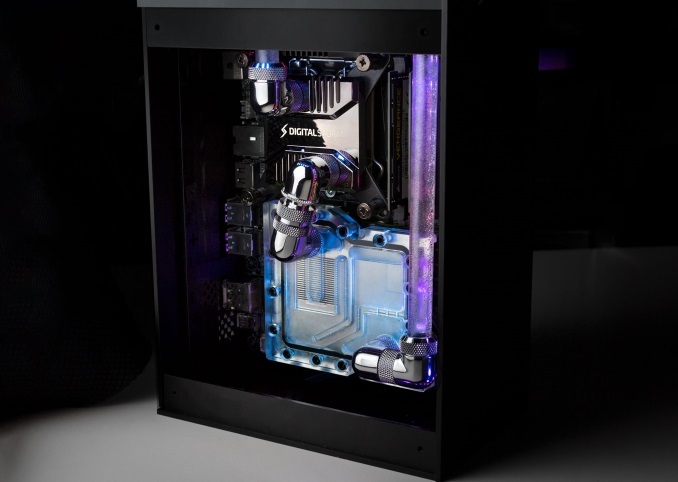 The hardline piping and water cooling on both the CPU and MXM GPU can be seen through the side panel and is lit up by integrated RGB LEDs for a unique appearance in a small package. The base price for Project SPARK is $1299 and starts with GTX 1060 graphics. The SPARK will launch in the second quarter of 2018. Normally when people think "I don't need this huge honking (product category)" they're looking to both downsize in product dimensions and cost. MiniITX formfactors (especially form factors with integrated custom loops and from boutique builders) cost quite a bit more than even MicroATX form factors. You can get pretty decent to good cases for MicroATX at about ~$40. It takes about ~$80 to get pretty decent MiniITX cases, not to mention the additional cost associated with SFX power supplies over ATX power supplies. >Normally when people think "I don't need this huge honking (product category)" they're looking to both downsize in product dimensions and cost.